LEAP has announced its open call for application for the 2014 Social Innovators Programme. The program will support talented youth between the ages of 18 and 35, whose ideas and initiatives offer effective solutions to challenges in local communities across Nigeria, with the necessary training, funding, advocacy and network support required to strengthen their existing initiatives and enhance their sustainability and impact. Identify, encourage and support youth in Nigeria who have initiated change projects focused on improving the lives of others. Enhance the effectiveness of young change makers and their social enterprises through the use of technology and innovation. Showcase their impact on local communities to demonstrate that youth can serve as effective change leaders in Nigeria. Provide international recognition for local change-makers and access to international funding opportunities through the Social Innovation Programme Awards (SIPA). Connect Nigerian change-makers to their peers around the world for shared learning and collaboration through YouthActionNet ®’s global network. Able to document and prove their work, benefits and some level of sustainability amongst communities and Nigeria for a minimum of 12 months prior to date of application for the SIP. 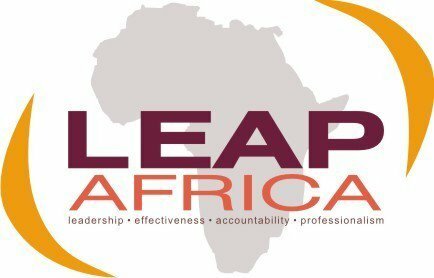 Like the LEAP Africa page on facebook, www.facebook.com/LEAPAfrica. Follow LEAP Africa on twitter, www.twitter.com/leapafrica or @leapafrica & mention the programme you are applying for – with a #tag (e.g Chike Adeyemi Abu/#SIP2014).